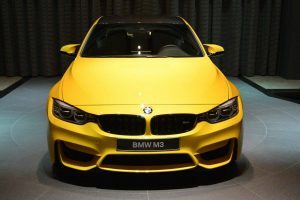 The BMW M4 is one of the most powerful models BMW has to offer. 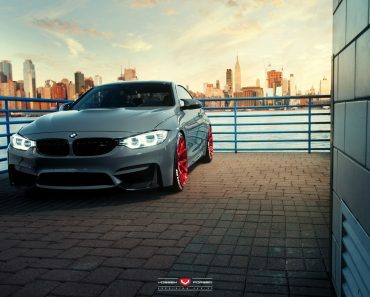 Aside from its sheer power, the BMW M4 also impresses with its aggressive, sporty look. 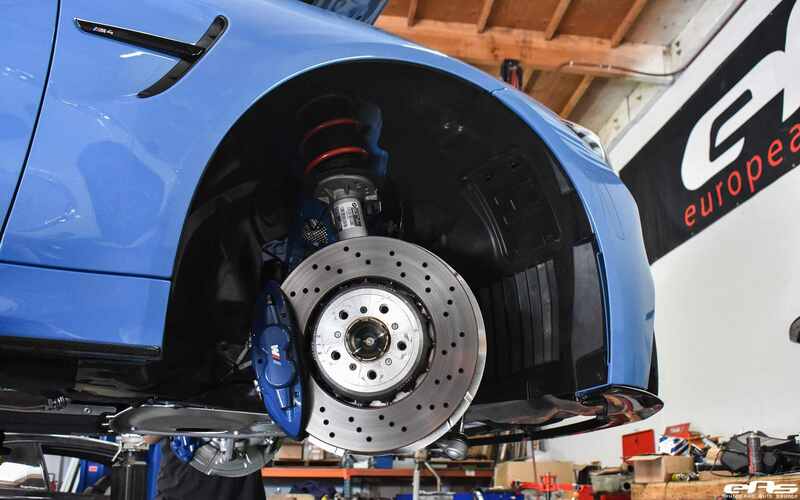 These are two of the main reasons for which the folks over at European Auto Source have decided to base one of their new build projects on this particular BMW model. 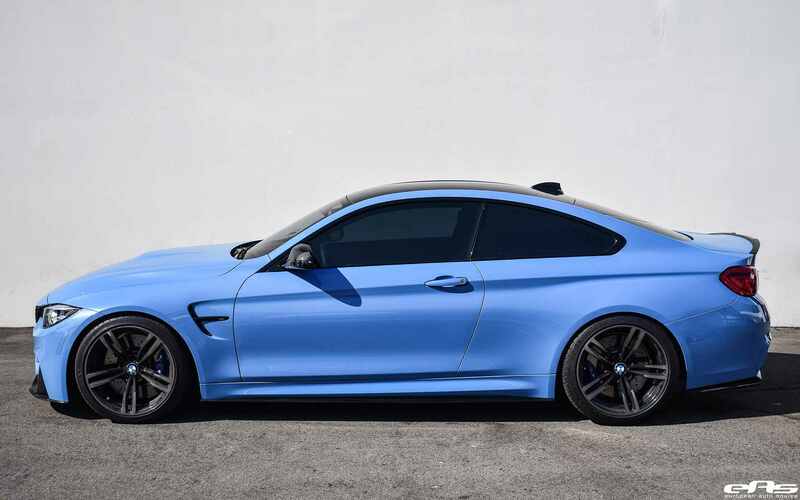 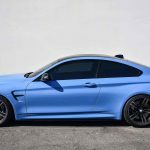 Right from the start you can tell this BMW M4 is special on account of its rare Yas Marina Blue paintjob. 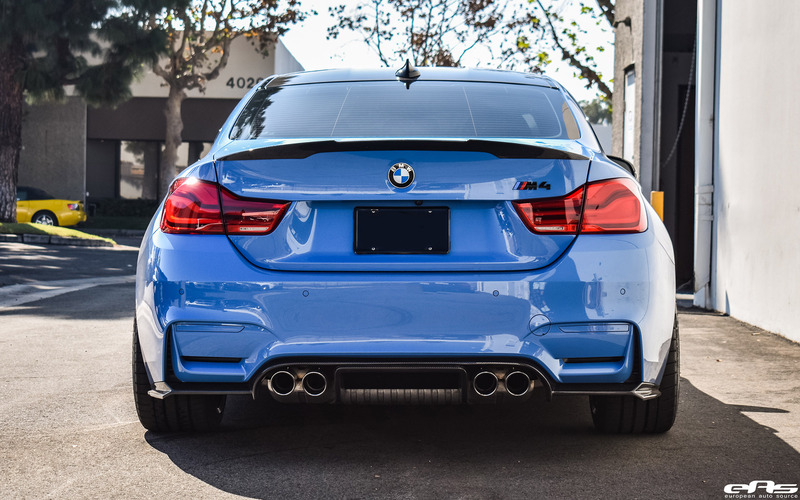 This color gives the car more personality, while keeping the core elements the Bavarian automaker puts in all of its models. 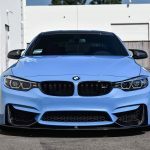 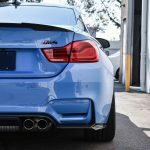 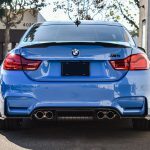 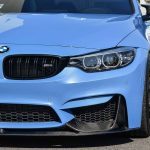 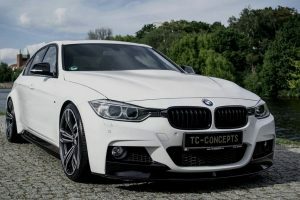 The guys over at European Auto Source have built buy now quite a reputation when it comes to improving BMWs. 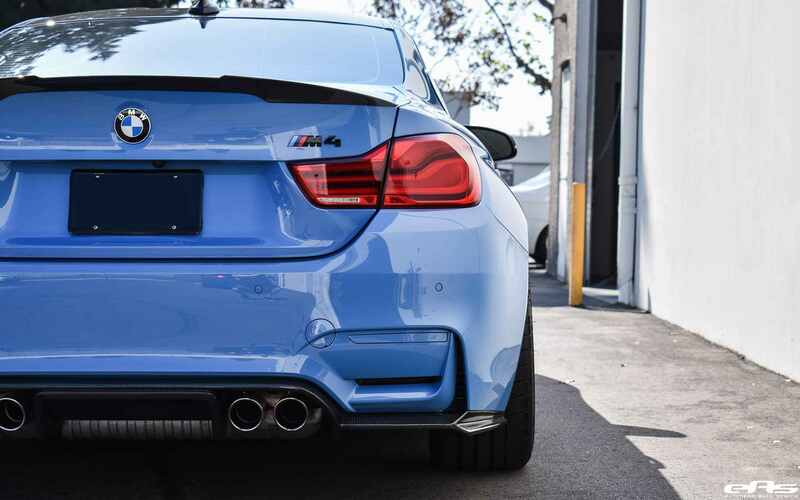 This build is no exception. 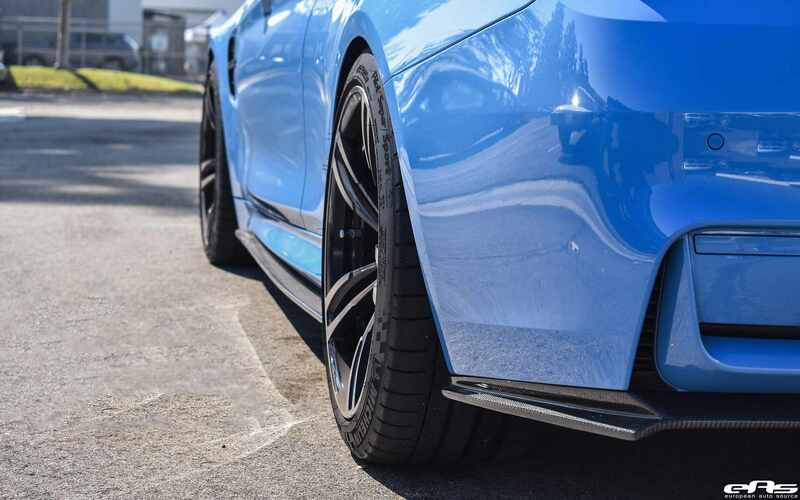 The success of the project resides in the harmony between the added performance parts and the vehicle itself. 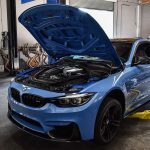 Regarding performance, the engine of the vehicle has been left untouched. 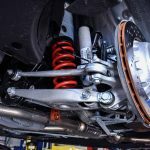 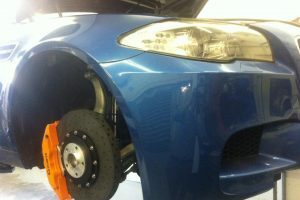 The guys over at EAS decided, on the other hand, to improve the car’s suspension system. 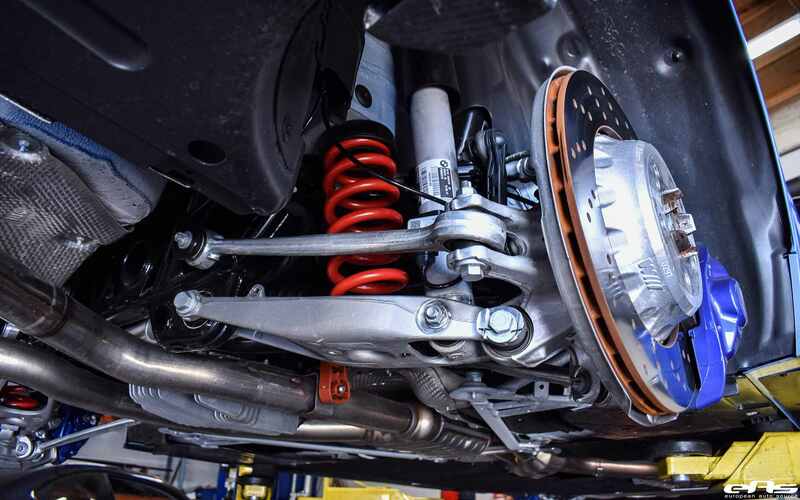 The installed H&R Sport springs lower the car, allowing for it to be more agile while simultaneously reducing air resistance. 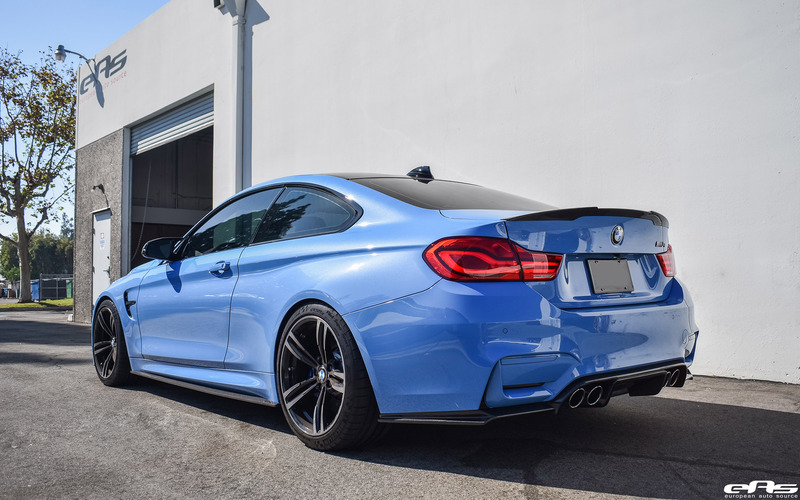 Together with the added wheel spacers, this particular BMW M4 looks and feels sportier. 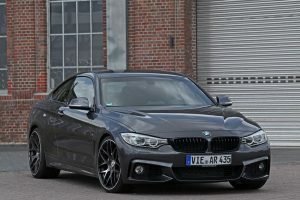 The achieved aggressive look seems to be in perfect accordance with the car’s Bavarian personality. 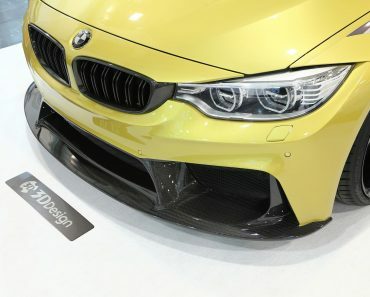 Added visual improvements such as front and rear splitters, together with the black iconic kidney grills and the carbon fiber trunk spoiler further add to the car’s sporty appearance. 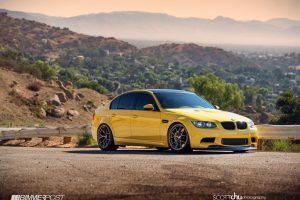 Simultaneously these parts contribute to the overall balance that seems to characterize this particular BMW when it comes to performance and looks. 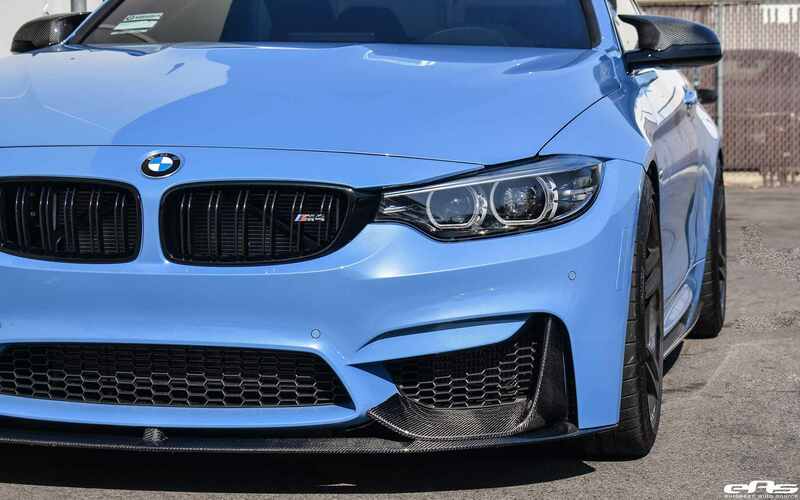 The whole visual aspect seems to be wrapped up by the eye catching Yas Marina Blue paintjob. 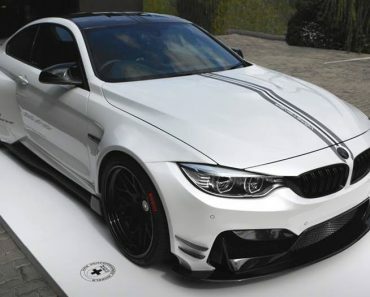 No matter how you look at it, this BMW M4 is a unique vehicle. 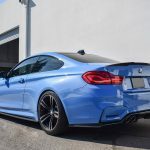 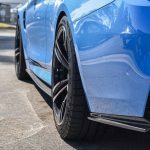 This is partly due to its particular Bavarian nature and partly to the carefully chosen upgrades the people over at European Auto Source have fitted on this project build. 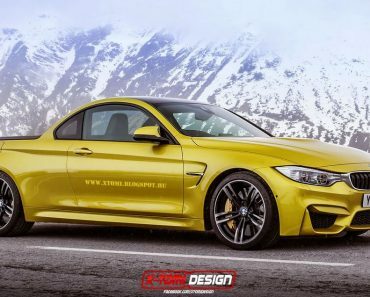 While the car’s personality was left untouched, its core characteristics were further brought out into plain view. 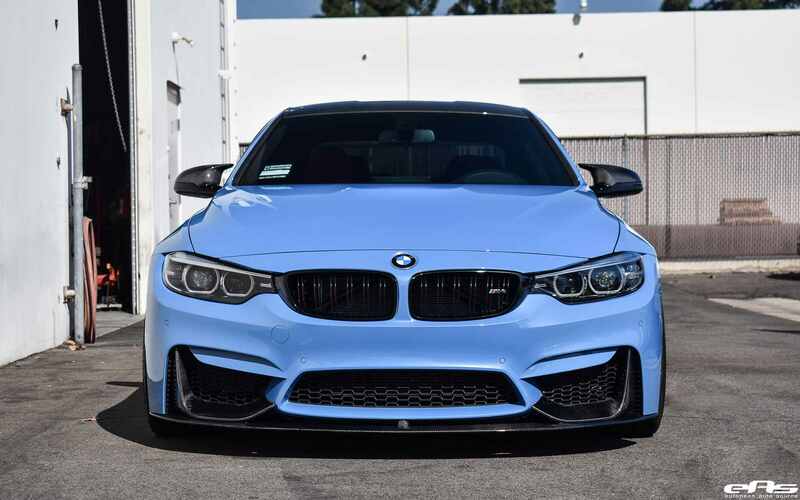 The balance between performance and look gives this car a great sense of cohesiveness. 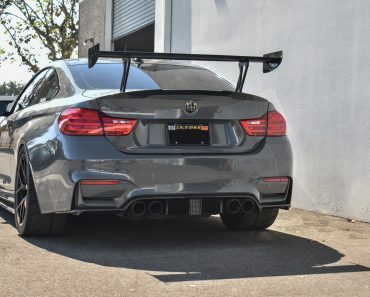 The effort put in this project build is noticeable from a mile away. 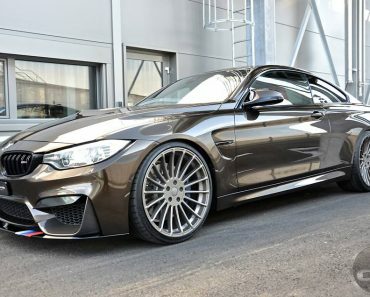 This particular BMW M4 is easily one of the best variants currently out there. 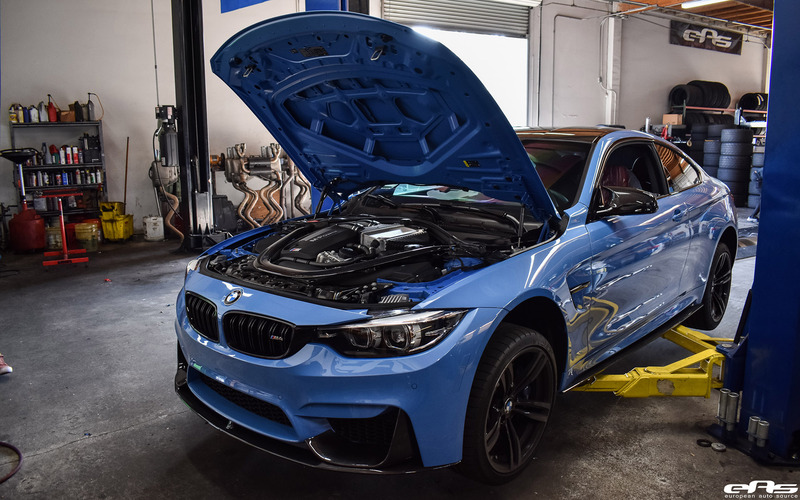 Starting with the aggressive stance, continuing with the improved performance and finishing with the rare paintjob, this particular BMW has it all.